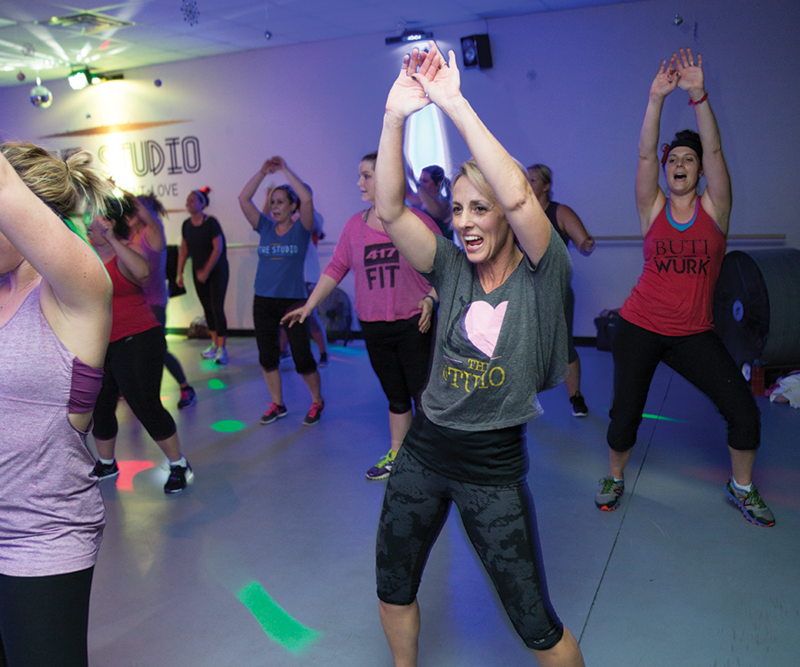 Senior Editor Savannah Waszczuk heads to The Studio in Nixa for JAM, a popular dance fitness class where guests can burn as many as 1,000 calories an hour. You couldn’t pay me to go back to middle school. It was an awkward time in my life. I started getting pimples. I had a horrible haircut that wasn’t the least bit flattering. I didn’t understand boys (to be fair, I still really don’t understand them, but that’s another story), and last but certainly not least, I had to start going to school dances. It wasn’t that I didn’t like the social aspect of dances. A little bit of a Suzy Schoolgirl, I was always thrilled to help plan and decorate for dances with fellow Student Council members, and I loved hanging out with my friends on Friday nights. It was the actual dancing part—the standing in a circle with my closest friends and making my body move to the music part—that I hated. No matter what I did, I didn’t look right. Rhythm has always been one thing that I just don’t have. Now that I’m an adult, that doesn’t really matter—until assignments like this one roll along, and I have to go and dance with a room full of strangers. Read on for a rundown on how I faced one of my biggest long-time fears when I attended the JAM class at The Studio, and burned hundreds of calories in the process. 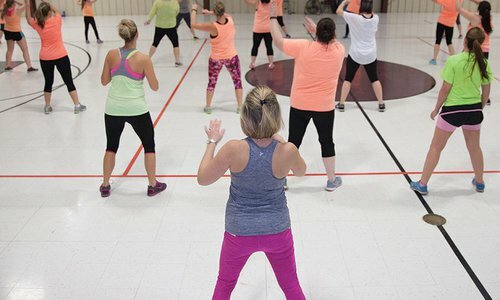 Although I was a bit nervous about attending a dance class, I was happy that it was at The Studio in Nixa (Note: The Studio is now located in Springfield). I’d attended a class here before with owner and lead instructor, Jamie Kinkeade, so I knew I was in good hands. Kinkeade can be described as a firecracker in the world of fitness. Her incredibly toned body appears flawless in the studio’s light, and I’m pretty sure it would look even better in broad daylight. She makes every move with a bit of pep in her step. Every move! She’s a living, breathing example that hard work can pay off. On the night I attended, she co-instructed the class with instructor Cami White, who typically leads the Wednesday night classes. 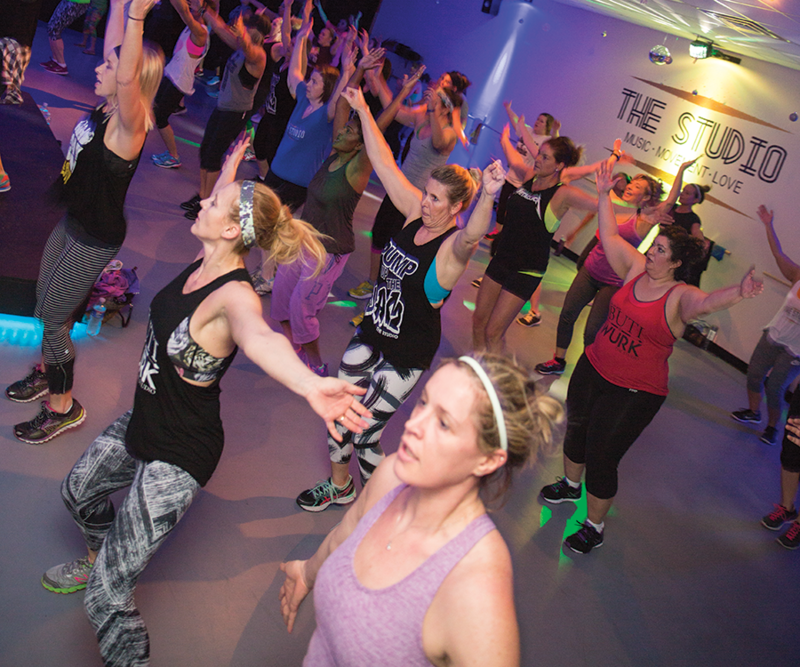 The gals stood in the front of the studio on a little platform to lead our group of more than 40 ladies into a sweat-soaked jam session. Before class started, I was standing around chatting with other class members and psyching myself out, and those middle school jitters started sneaking up on me. But before I had time to get too nervous, music started blasting throughout the room, and Kinkeade and White started dancing. Not sure what to do, I immediately scuffled over to my own little spot on the studio’s floor and did my best to follow along. It turns out my instincts were right. There was no intro or anything, you just start dancing. These ladies make sure guests get in every second of cardio they can by jumping right into choreographed songs. Designed to warm us up, the first dance was a bit slower. But song No. 2 was designed to up our heart rates, and these fast-paced songs kept coming for a bit. Occasionally a slower song would come along and give us a little bit of a rest. Some girls—obviously the regulars—performed every move as if they’d done them 100 times before. I later learned that this class is among The Studio’s most popular classes, so they probably had. And then there were other girls, like me. We were the girls who weren’t sure whether we were stepping left or jumping right. We shook our hips when everyone else was spinning around. But it didn’t matter. As long as you’re dancing around and having a good time, you’re doing exactly what was intended for JAM. I loosened up a bit as we performed a few more songs. While each song has a different dance, many of them include similar movements, so once my body got used to moving left to right and front to back, I started to do just a teensy bit better. And this is when I really started to have a good time. My most profound moment, I would say, was when “Everybody” by Backstreet Boys came on. While most of the songs were new, this throwback was in the mix, and it took me back to those embarrassing days in my old high school gym. But instead of awkwardly scurrying away to the sidelines or halfway shaking my behind like I did back in middle school, I let loose. This dance was nearly 20 years in the making, and it showed. I threw my hands in the air. I proudly shook my behind. I even lip-synced. I had a blast, and I know everyone else did, too. 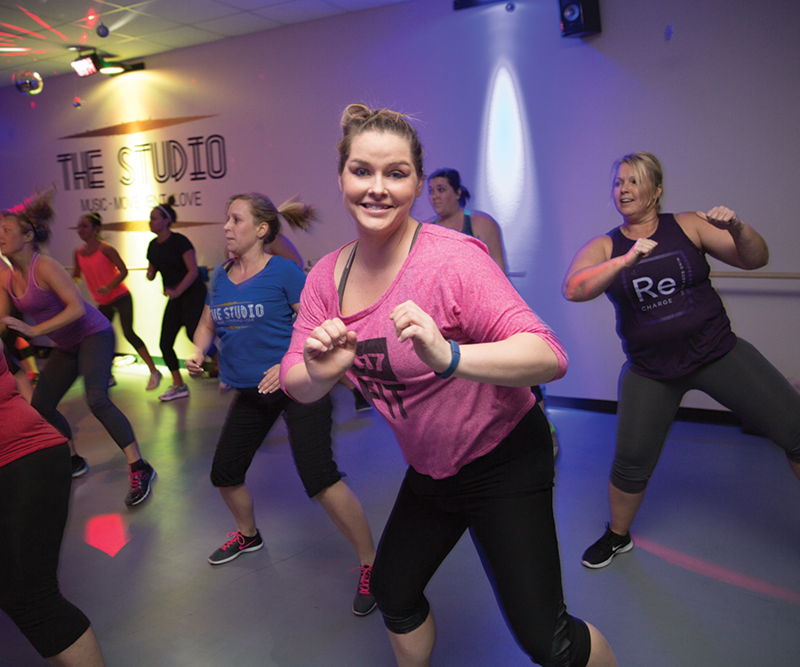 Guests moved their bodies to the beat while burning as many as 1,000 calories during the class. When Senior Editor Savannah Waszczuk tried the class, there were more than 40 women in attendance. This class is designed with mostly fast songs, but a few slower songs are mixed in to provide a bit of a break and create interval training. 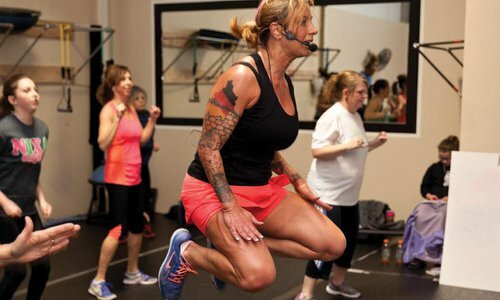 “It’s the only class we offer that’s 100 percent cardio,” Kinkeade says. “Most of our other classes incorporate some type of strength and conditioning with body weight.” Guests typically burn 800 to 1,000 calories per session. “For many people who attend regularly, the weight just starts falling off of them,” Kinkeade says. “I’ve seen it. I recently had one girl who’s been attending for two months who’s lost 14 pounds.” But the calorie burning is just a great side effect. JAM is first and foremost about having a good time. “The fun factor comes first with this class,” Kinkeade says. “Then, when it’s over, you realize you’ve done a solid hour of cardio without looking at the clock.” I agree that the time went fast, and I definitely had a great time. With a little late-’90s Backstreet Boys in the mix, how could you not?